One dope pair of YSL Niki Zip boots! Beyoncé and Ciara each added their own flair to these thigh high’s. Ciara also had a head full of luscious curls , she decided to wear the boots with a denim on denim ensemble. The boots worn with jeans really have a way of elongating the legs. Bey went for an edgy thrown together look when she rocked her boots. She showed off her killer legs with ripped off shorts and paired them with a Gucci tee. Bey completed her look with a Dolce & Gabbana denim jacket. I think they but look cute, depending on where your going both looks are tight. 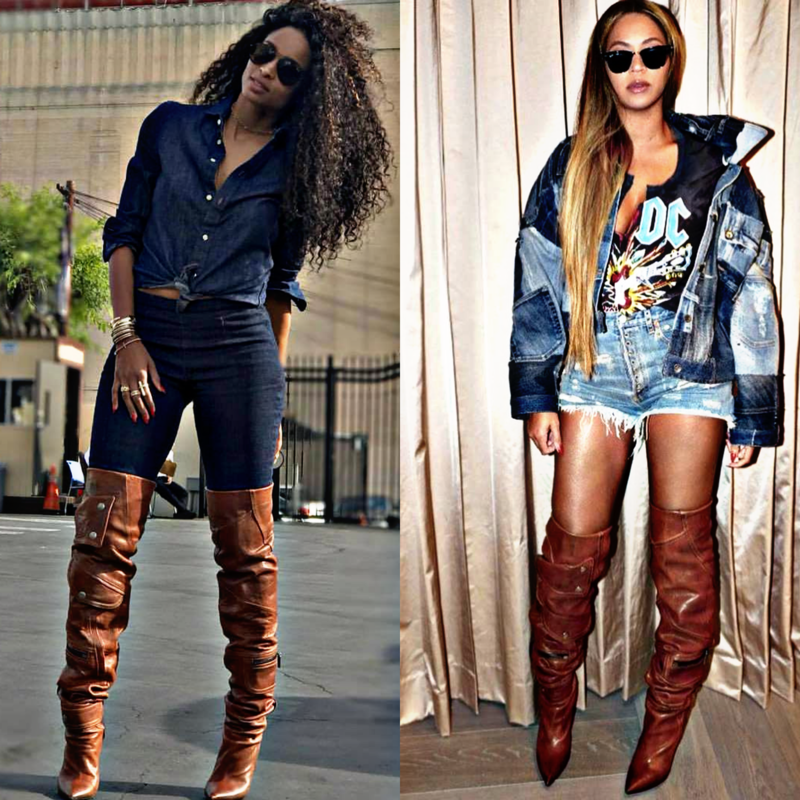 This entry was posted in Fashion and tagged beyonce, ciara, Dolce & Gabbana denim jacket, eccentric glow, Gucci tee, Las Vegas Blogger, Who Wore It Better?, YSL Niki Zip boots. Bookmark the permalink.